The Kerkplein is so called because of its proximity to the village church. 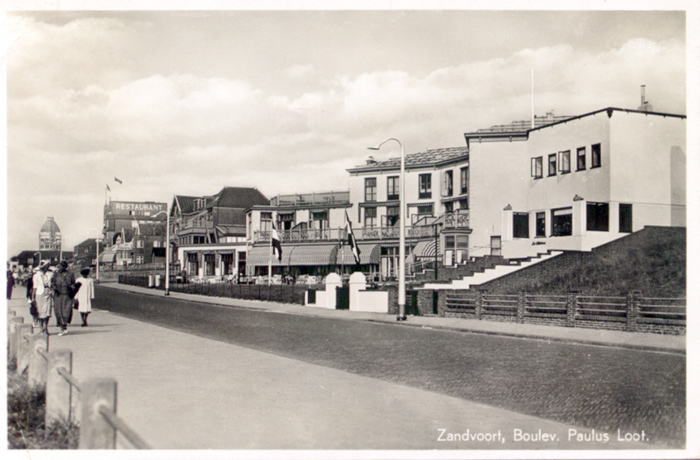 It is the place where over the centuries, many major and minor events have played out in Zandvoort. The present church: the Reformed Church is actually not so old. was built in 1848-1849 on the site of the earlier and taller, but not wider medieval Catholic Church. 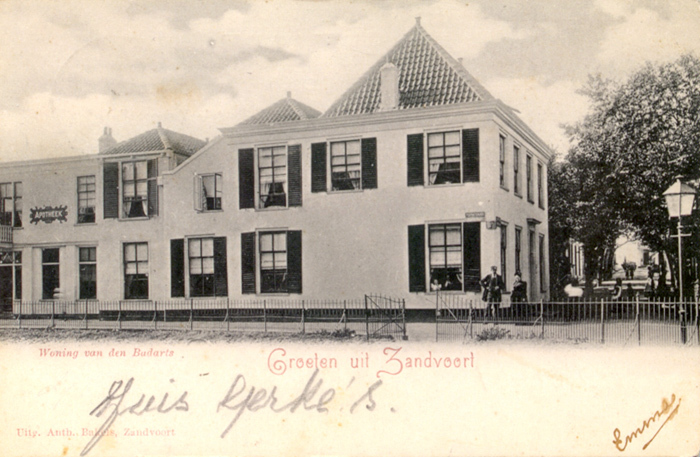 Dr Gerkes house in the Kerkplein at the bottom of Kerk Straat – Woning van den Badarts. Postmark dated 4th May 1901 on the back. 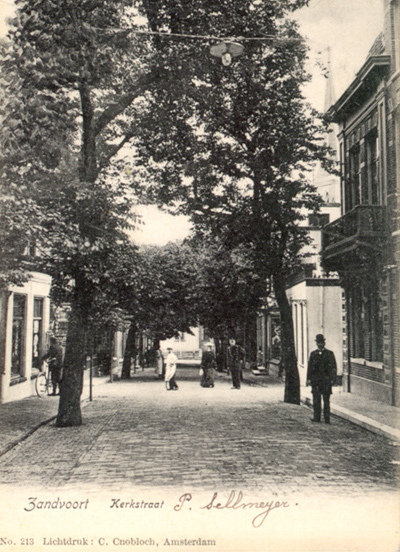 The Kerkstraat stretches from the Kerkplein to the Thorbeckestraat and Badhuisplein. 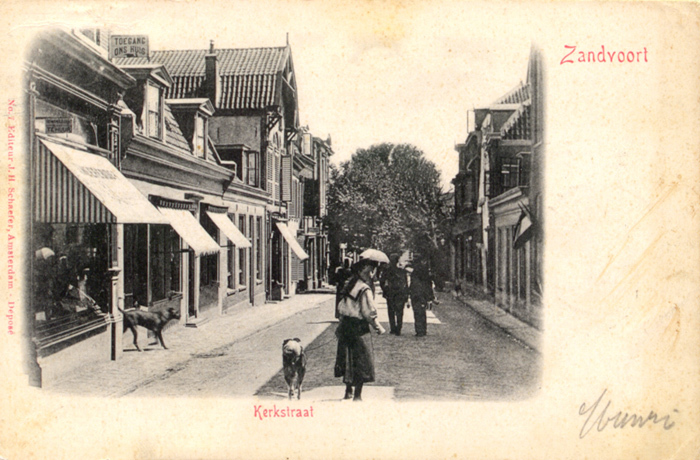 It may well be the oldest street in Zandvoort, being mentioned in a 1590 deed of sale document. This view is looking down the street towards Kerkplein. Looking up the Kerkstraat from Kerkplein one can see the changing fashions. This postcard is postmarked 13th Aug 1930. 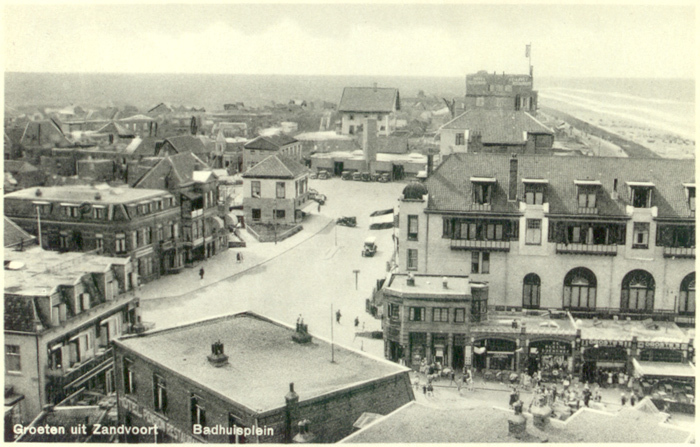 The Badhuisplein photographed from the old water tower. 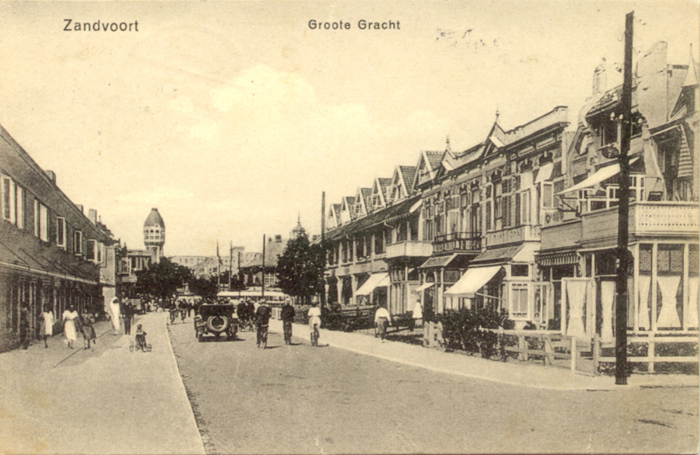 The Hotel Groot Badhuis is clearly visible to the right. This postcard dates from 1934. The Haltestraat. 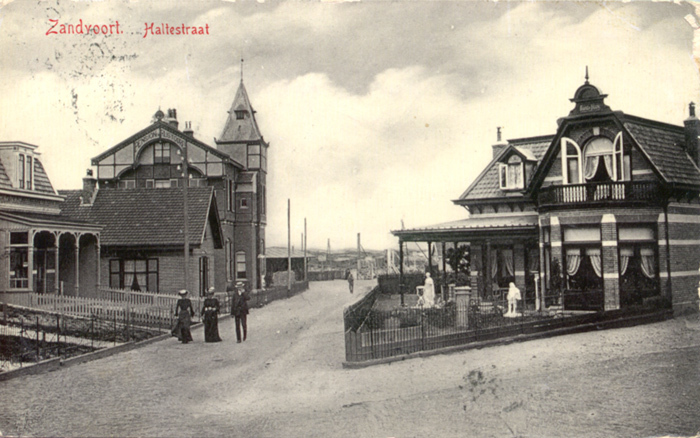 The name originates with the newly opened Haarlem-Zandvoort railway connection of 1881. The other end of the Haltestraat photographed from Radhuisplein. This card was written from the “Kinderhuis” in Zandvoort and sent to England. 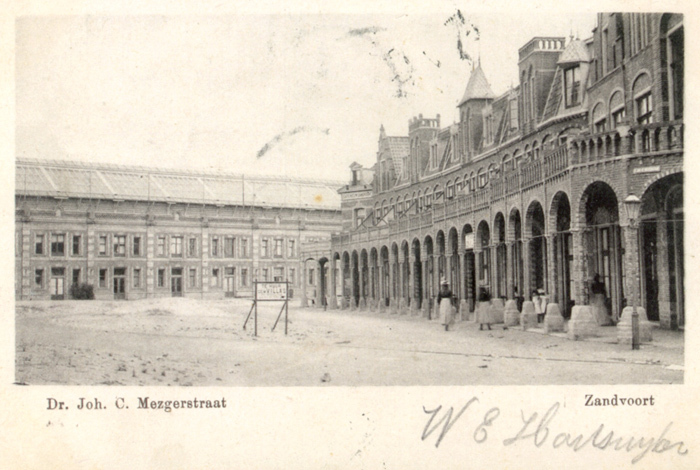 The title on this post card is probably a mistake and it should likely be Grote Krocht. 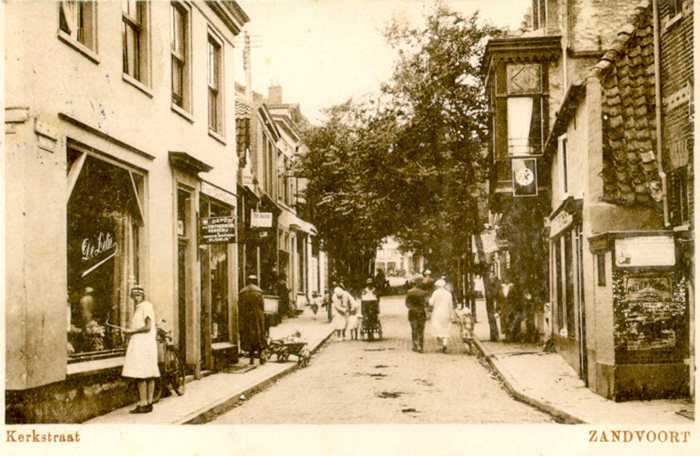 The postcard is postmarked 16th July 1927 on the reverse side. 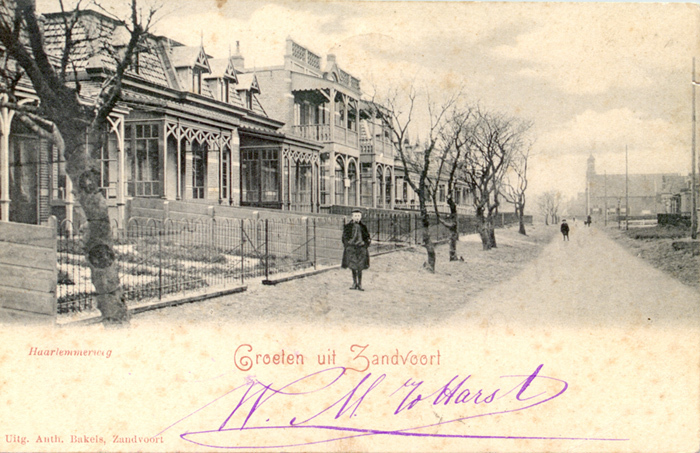 Haarlemmerweg Zandvoort. This card is postmarked 21st June 1901 on the reverse side. Dr. Joh. C. Mezgerstraat. Dr Mezger was a renowned GP who specialised in certain ailments which, he felt, would benefit from “taking the waters” and was also one of the first proponents of modern massage therapy. 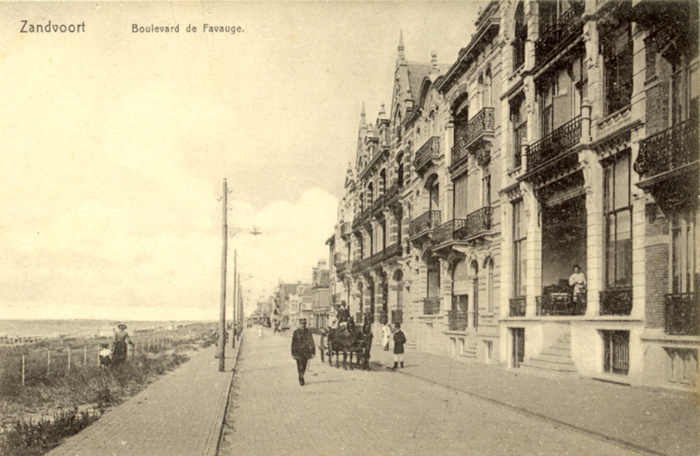 The Boulevard de Favauge. 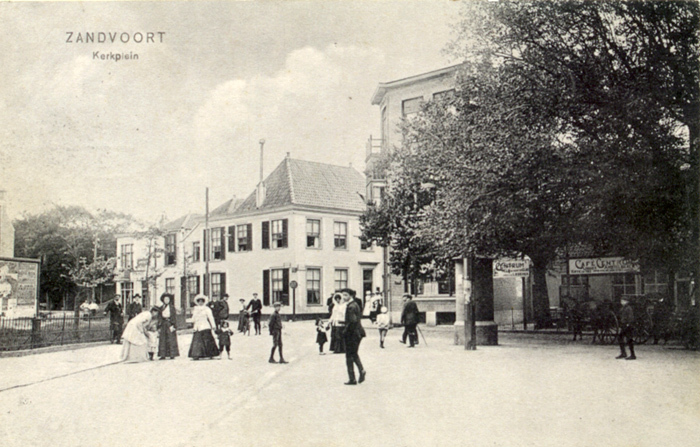 This boulevard, to the north of the town, stretches from the Strandweg to the Jacob van Heemskerckstraat. 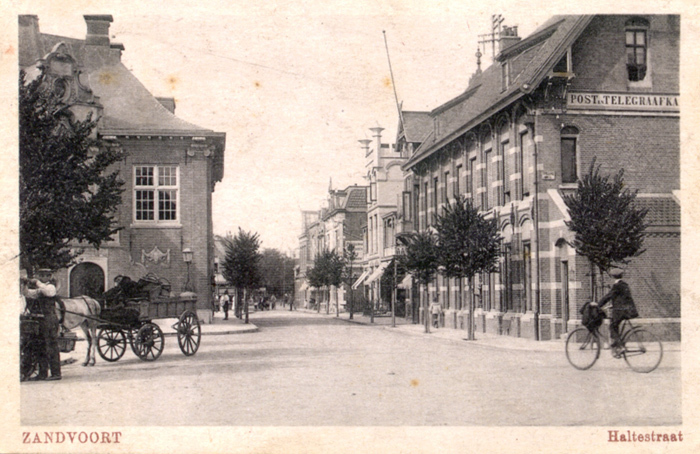 The Boulevard de Favauge circa 1935. 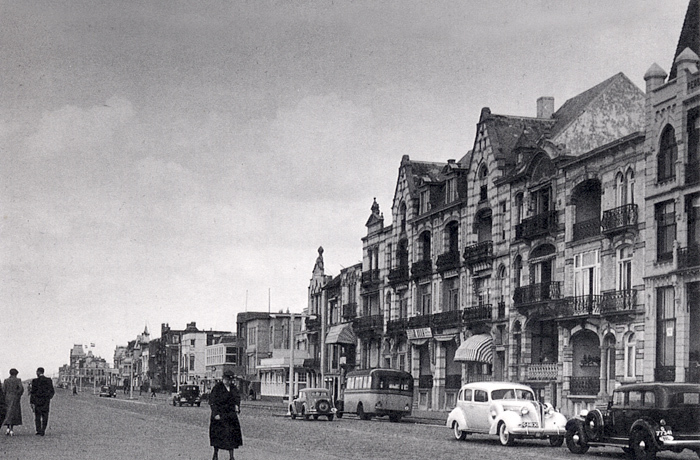 Unfortunately today the Boulevard de Favauge displays little of the grandeur and elegance that it displayed in Zandvoort’s belle epoque and before the 2nd world war. 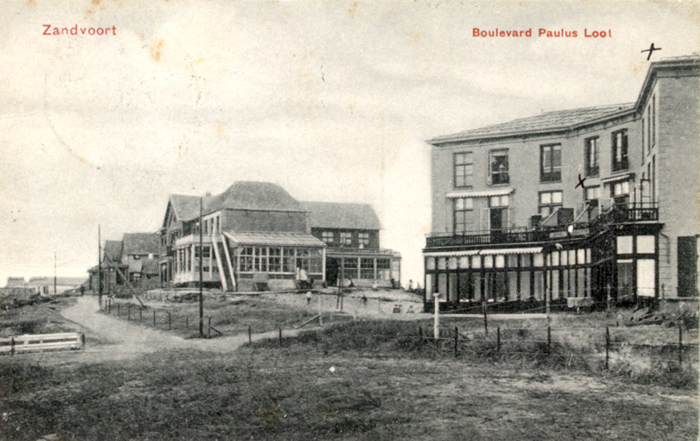 Another view of the Boulevard Paulus Loot circa 1939 looking towards the north with the old water tower in the distance.